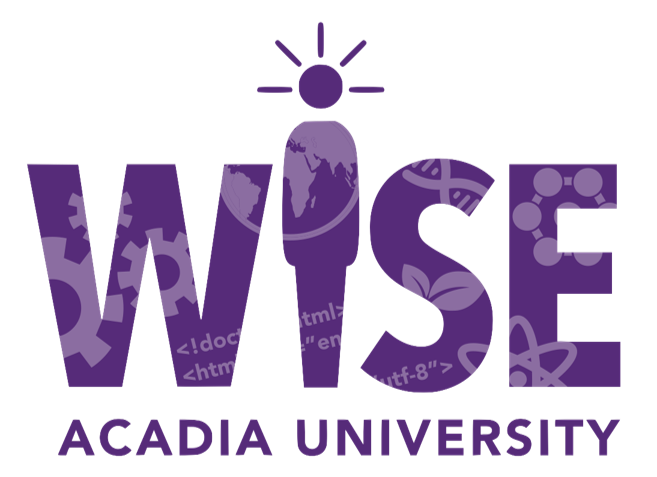 WISE (Women in Science and Engineering) Acadia is a group of female faculty, staff and students who gather together to promote full participation by women in STEAM fields. Centered initially around women in academia, the group has supported learning opportunities and identified opportunities for Acadia women faculty members, staff, and students. Following a gathering held in October 2014 additional WISE Acadia priorities were identified related to mentoring, science camps for young women, and a course offering for undergraduates in Women and Science. WISE Acadia is currently developing and delivering programs and holding events to address these priorities. WISE has been supported in these endeavours by members of Women's and Gender Studies. The mission of WGS is to foster a vibrant, dynamic campus community that critically engages with issues of gender, sexuality, race, class and ability. Working together with WISE Acadia students, staff, and faculty, WGS strives to address inequities and draw attention to opportunities facing all women. Visit the WISE website here.